The escape artist who up for any challenge. The houdinis of the dog world. They have the ability to squeeze through the smallest of holes, break or chew their way out of a tie-out orrun through an electric fences. Some will actually devise a plan for their escape route that you may have never even thought of. We've witnessed this actual escape plan: one Siberian waits patiently around the corner for the prime opportunity when you open that front door, then bolts over the coffee table, over the chair, and one last leap over your shoulder...then begins the game of catch-me-if-you-can. Think it can't happen? Think again. 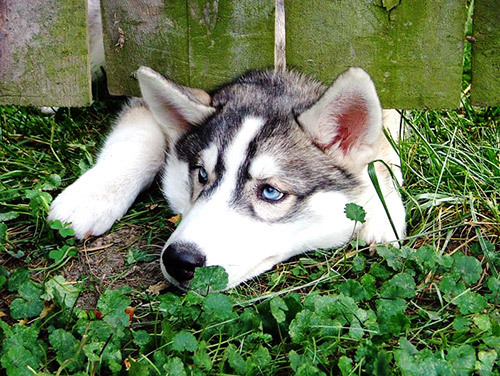 Sibe owners learn to anticipate escape routes so they're always one step ahead of their quick or devious Siberian Husky. These intelligent dogs are always learning new things; if you live with a husky they will certainly teach you that you have never seen it all. A husky home must learn the tricks of the trade, before their Siberian does a magic act for them. 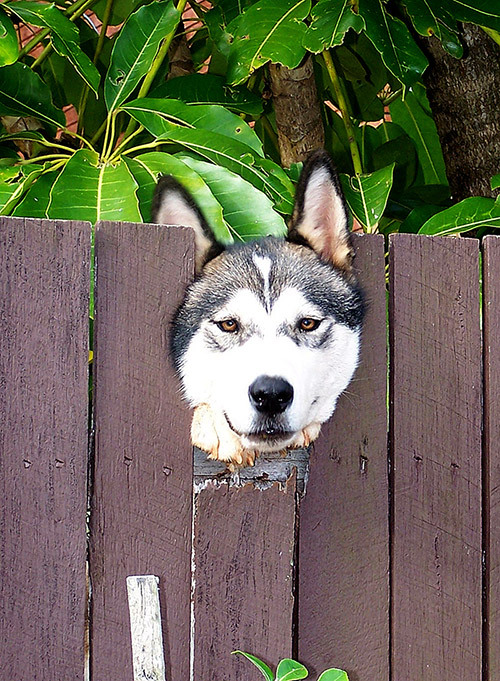 There is a proper way to leave and enter your home—always be aware of where your husky is when you are coming and going. Avoid doors with an intentional delay, set to close behind you. These doors offer precious seconds that any red-blooded Siberian will certainly take advantage of. It is a good idea to place door latches up high. Better yet, lock doors to the world outside. You'd be surprised what a husky can do when motivated. Can I fit thorugh and explore what's on the other side?